But National Weather Service meteorologist Bryce Williams warns that temperatures will plunge below freezing overnight Monday. He says that raises the risk of dangerously icy conditions. Williams also says more snow could be on the way Friday or Saturday for the Boston-area. That storm is still too early to predict, but he says it shouldn’t be as significant as the most recent one, which is the largest that Connecticut, Rhode Island and Massachusetts has seen this year. 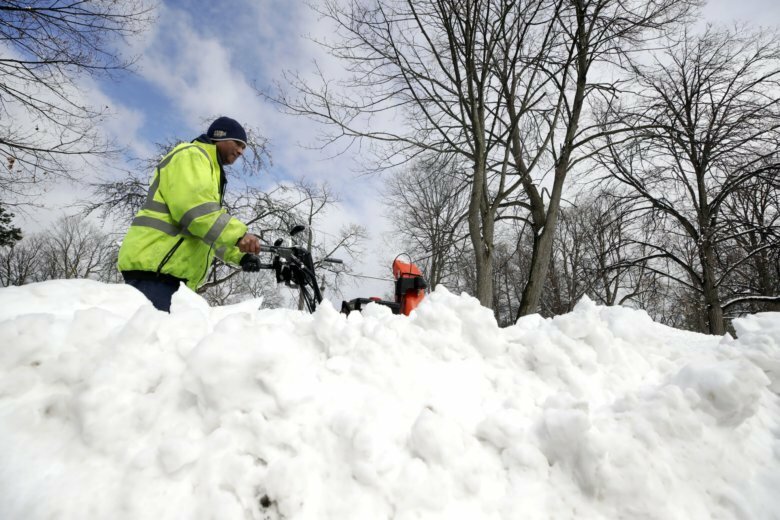 The Boston region has now recorded about 26 inches (66 centimeters) of snowfall this season, still below the region’s 35-inch (89-centimeter) average. Businesses and homeowners across the northeastern U.S. are digging out after an overnight snowstorm that closed schools and slowed the morning commute.